"By Indie Means Necessary," is the motto for the highly anticipated four-day festival known as BlackStar. Derived from the famous Malcolm X "By Any Means Necessary" speech, the BlackStar Film Festival, now in its sixth season, aims to promote all things blackness though film and visual media. Often referred to as the "black Sundance," the popular festival celebrates films from across the African diaspora with all featured filmmakers being of black or African descent, a demographic often not represented in mainstream film. The prestige and importance of the event is evident; previous years have seen visits from acclaimed filmmaker Spike Lee, esteemed civil-rights poet and activist Sonia Sanchez, and political writer Yaba Blay, with this year seeing the return of Academy Award nominated director Ava DuVernay (Selma, The 13th, Queen Sugar) as she's honored with the 2017 Richard Nichols Luminary Award. This year's festival will showcase over 60+ films in venues across the University City area from August 3-6. Attending BlackStar this year? Let us know all about it on Twitter, Facebook and Instagram @Phillyfunguide! 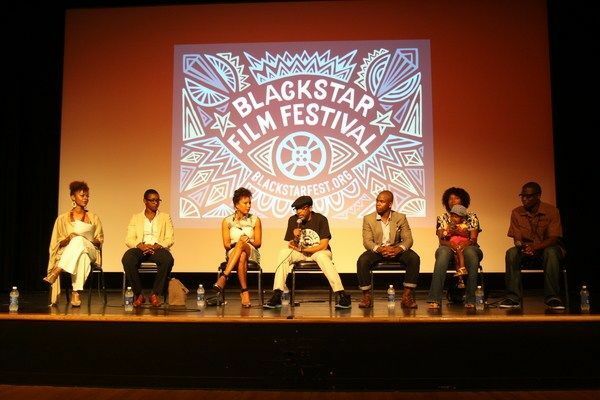 For more information on the BlackStar FIlm Festival, including the full schedule of events, head to their official website. Don't miss any of these featured events from the festival! Mix, mingle and network with one of the biggest rooms full of black artists, trailblazers, and supporters this side of Sundance! This year's Reception will be celebrating the opening of the Lossless exhibit, an artistic movement celebrating and exploring the black body and representation, at the Leonard Pearlstein Gallery (through Sept 8th). Music will be provided by DJ Lushlife, followed by a special performance by Terence Nance and Norvis, Jr.
Head to Johnny Brenda's on Friday, August 4th for the official Festival Dance Party! Jam out to tunes from DJ Lean Wit It (Ugly Bass Media, Philly), DJ Foxx Boogie (CTRL Freaks, Philly), and DJ Laylo (A Party Called Rosie Perez/Afrikando, NYC) until midnight at this completely FREE event! One of the most special events of the festival, the Awards ceremony is to honor the work of black filmmakers, producers and directors that oftimes go unnoticed. This year's ceremony will feature musical performances from Danni Cassette, Cakes da Killa, Jacqueline Constance, DJ Jovi Baby, and Pharoahe Monch. All are welcome to attend! Check out these other great film-related events and screenings in the city!